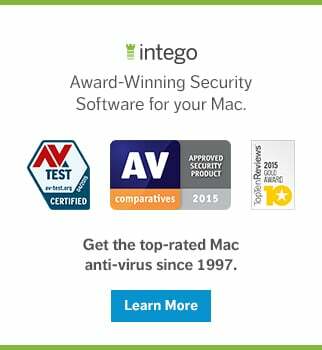 Apple is pivoting hard towards becoming a services company. If you have any doubt, be mindful what happened last week. Updates to iMacs, iPads, and AirPods were all announced by press release, so Apple could in its March 25 event focus solely on services. So what did we get? 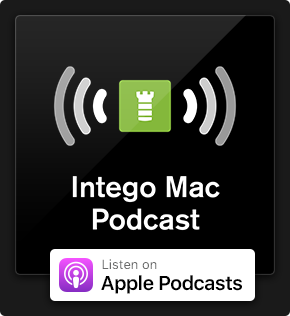 Major updates to Apple TV, Apple News, gaming on Apple devices, and paying for things using Apple hardware—all with a strong emphasis on usability and privacy. We dig into each of them below. 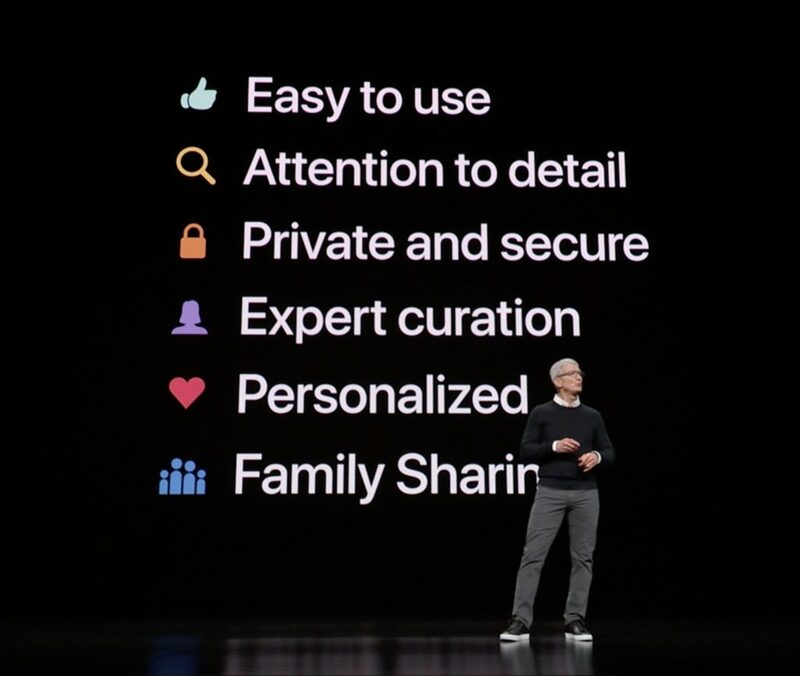 Apple CEO Tim Cook presents the six key features of Apple services at the March 25, 2019 Apple Event. 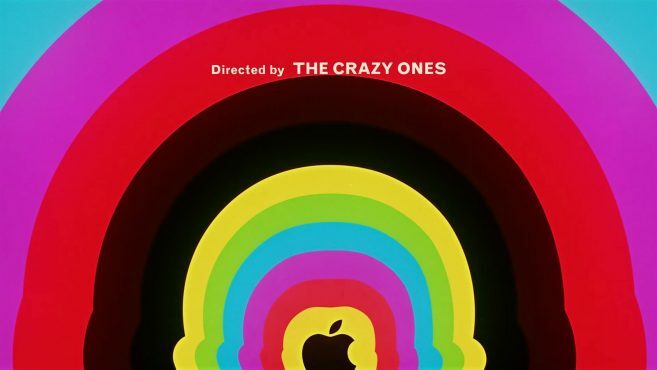 Apple said its vision for Apple TV is to have your favorite shows in one place, on all of your screens. You should spend less time looking for something to watch and more time enjoying it. The redesigned Apple TV app becomes a hub for almost everything you want to watch. Movies and sports have been integrated, as have cable and satellite services. If you don't want to pay for—or cannot access—a bundle of that ilk, Apple offers Apple TV Channels, which you can subscribe to individually. Content plays right inside the Apple TV app, rather than bouncing you elsewhere. Apple's attempts to become a Netflix in another sense have now been named Apple TV+. This subscription service will offer ad-free, on-demand shows you can also optionally download for offline playback. Many famous creators are on board, and new titles will arrive monthly. 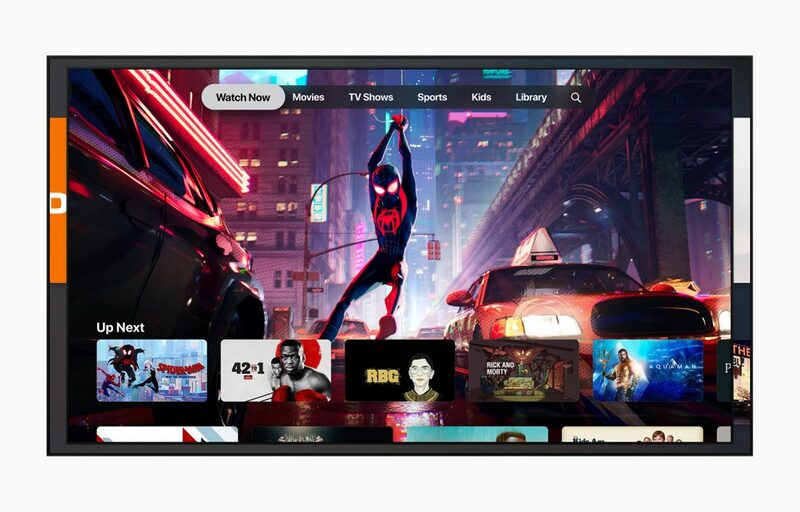 No pricing has been revealed, but Apple stated that the revamped Apple TV app will be released in May for iOS and tvOS, and this fall for macOS—which will mark the first time the TV app will be available for Macs. For the first time, the Apple TV app will move beyond Apple hardware, too. Apple hasn't stated a date, but look out for its appearance this year on smart TVs, Roku devices, and Amazon's Fire TV hardware. 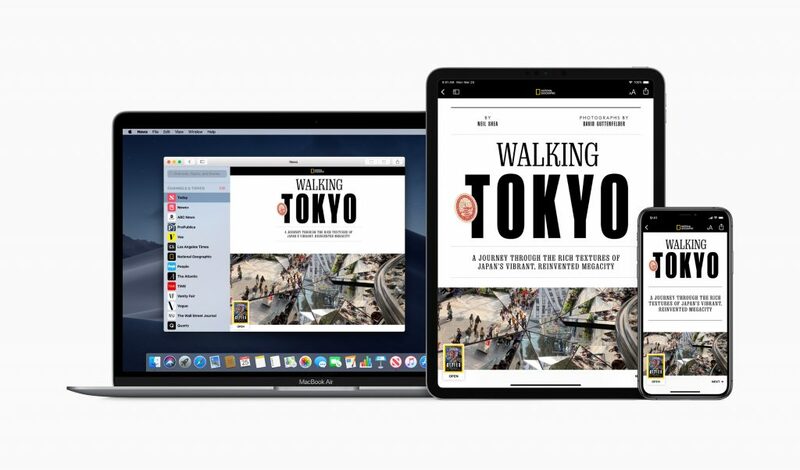 Apple highlighted that magazines may opt to include special Live Covers, reminiscent of living photos in a Harry Potter movie, and sleek layouts that adapt to the device and screen you're using. Currently about half of the magazines in Apple News+ are in the fancier Apple News Format that supports the advanced features. Machine learning attempts to surface things you might find interesting. For example, if you've been reading a lot about a holiday destination, Apple News+ may recommend an article on that location, but in a magazine you don't usually read. Given that this is Apple, all this personalization happens solely on your device—Apple itself never knows what you're actually reading, and advertisers cannot track you. Apple News+ also includes some premium digital subscriptions, like theSkimm and TechCrunch, along with two newspapers: the L.A. Times and Wall Street Journal (well, apparently only a subsection of the Journal). Available immediately in the USA, a subscription costs $9.99 per month ($12.99 in Canada, the only other launch country), with no extra outlay for others in your household if you use Family Sharing. Apple plans to roll out Apple News+ to Australia and the UK and this fall, with more of Europe to follow. Apple's history with gaming has been spotty, but the company nonetheless claims iOS is the biggest gaming platform in the world. Over one billion people have downloaded at least one game, and there are over 300,000 titles to choose from on the App Store. However, along with finding something good to play—which Apple currently helps with by way of the Today and Games tabs—there’s an ongoing battle between free and paid titles. The former are mostly funded by ads and in-app purchases, and although paid games often offer a more polished premium experience, it’s hard to compete with free. Apple’s solution is Apple Arcade. 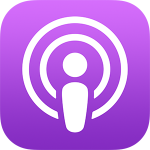 Another subscription service, it's due for release in over 150 countries and regions this fall (pricing yet to be announced), and will work across mobile (iPhone, iPad, iPod touch), desktop (Mac), and living room (Apple TV). Its curated collection of brand-new games have seen Apple become directly involved, not just curating, but also contributing to costs, and working closely with creators. Titles will be available for offline play, and progress will seamlessly sync between devices. 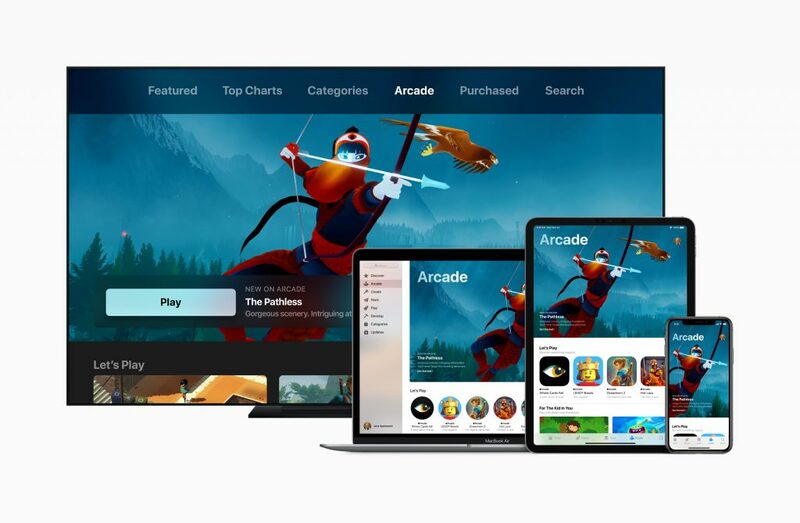 All games on Apple Arcade will be free from advertising, in-app purchases, and upgrade charges, and your subscription will work with Family Sharing. Finally, given all the money Apple hopes you'll be spending on subscriptions, it's fitting that the company's other new service is a credit card. Apple presumably considers this a natural extension of Apple Pay, which now enjoys 70% acceptance in the USA—and even wider acceptance in many other countries (as high as 99% in Australia). The features in Apple Card read like a checklist of responses to things people dislike about existing credit cards. You can apply in-app, and potentially start using your card (stored within the Wallet app) in minutes. There are no late, annual, international, or over-limit fees. Cashback rewards are straightforward and compelling, giving you 2% on purchases made using Apple Pay. Buy something from Apple and that's boosted to 3%. Even non-Apple Pay purchases—which you can make using a swanky physical titanium card Apple will send you—can rack up rewards, albeit only to the tune of 1%. Apple emphasized that those cashback rewards will be daily cash rewards, and that there will not be a daily limit on those rewards. Perhaps the most interesting aspect of the Apple Card system, though, is its emphasis on financial health. 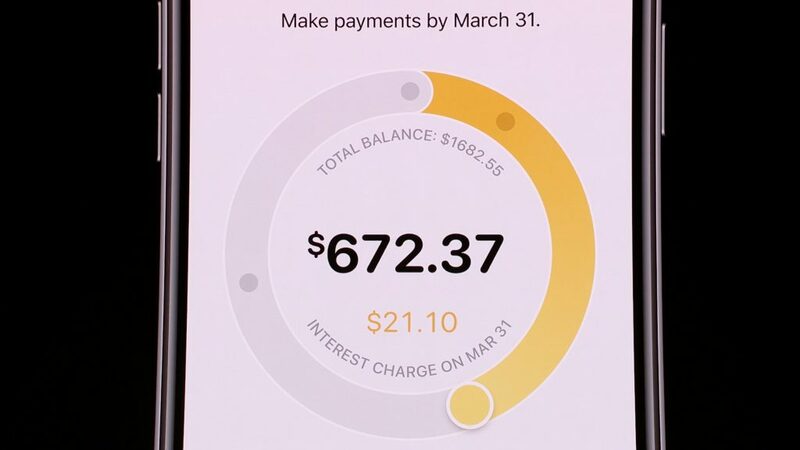 Apple said it wants to make it easier, rather than harder, to pay down your balance. Instead of defaulting to minimum payments, a usable interface shows in real-time how various options affect your true costs. Furthermore, instead of paper statements full of cryptic merchant names, you're presented with recognizable payment details (Apple dropped the buzzword "machine learning" again to explain how it figures out merchant names for you), and you can track your purchases by category and time period. The new card system is a joint effort of Apple and Goldman Sachs; Apple isn't taking the leap into becoming an actual bank. Again, privacy and security are at the heart of Apple Card. Your number isn't even on the physical card, and is instead solely stored securely on your iPhone. Authorization happens using biometrics. And Apple claims it doesn't even correlate your personal identity with what you bought, where you bought it, or for how much, and promised that "Goldman Sachs will never share or sell your data to third parties for marketing." If that's got you feeling a bit spendy, you can look forward to the Apple Card being released in the USA this summer. This entry was posted in Apple and tagged Apple, Apple Arcade, Apple Card, Apple Event, Apple News, Apple Services, Apple TV, news. Bookmark the permalink.